Product Selection Guides - Protective Clothing - Northern Safety Co., Inc. 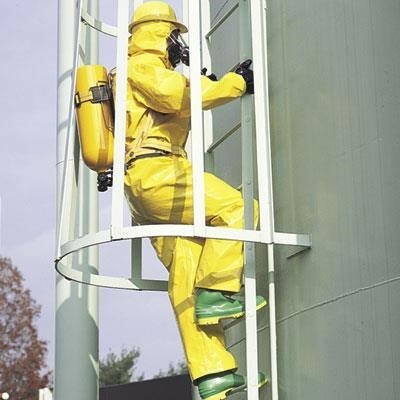 Protective clothing comes in many styles and materials ranging from disposable coveralls to fully encapsulating hazmat suits. Supervisors should assess the needs of their workers and choose the apparel that suits the conditions of their particular workplace. Designed for a broad spectrum of applications including welding, cutting, high heat areas, and those requiring flame resistance. Choose from sleeves, aprons, shirts, coveralls, and jackets depending on your specific needs. Assess your needs to determine the proper level of protection. 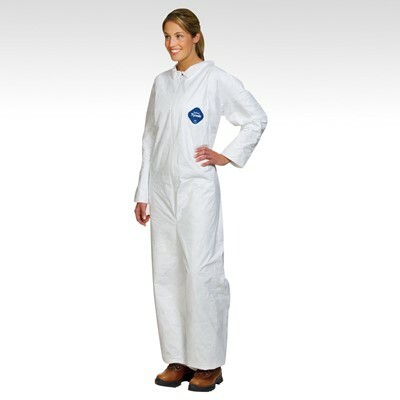 Select from a wide array of aprons and sleeves for light chemical splash, coveralls for intermediate protection, or fully encapsulating hazmat suits for total coverage. Wide range of materials protect against everyday work conditions...inside or out. Choose from a large assortment of rainwear, coveralls, work clothes, lab coats, hairnets, or booties for day-to-day use. Tyvek® is a unique, non-woven polyethylene material made of spun-bonded olefin fibers. It is chemically and biologically inert, low linting, and static-free until laundered. Tyvek® resists penetration and provides excellent protection against the passage or entrapment of harmful dry particulates such as lead dust, glass, reinforced fibers, and asbestos. Check out our Tyvek® selection! Please refer to OSHA General Industry Standard 29 CFR 1910.95, "Occupational Noise Exposure." Other relevant sections include 1926.52 and1926.101.